To order a printed copy of the White Cliffs Country brochure, simply click the Request button below. 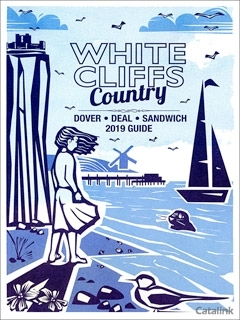 Welcome to White Cliffs Country – for Dover, Deal and Sandwich. White Cliffs Country Brochure Zoe F. said: Thank you very fast delivery and I am enjoying looking through them all deciding where to book. By pressing the Request Printed Brochure button you give consent to White Cliffs Country (and their Data Processors for the specific purpose of delivering your literature) to send you their Brochure .